Best time for a family portrait in Connecticut? 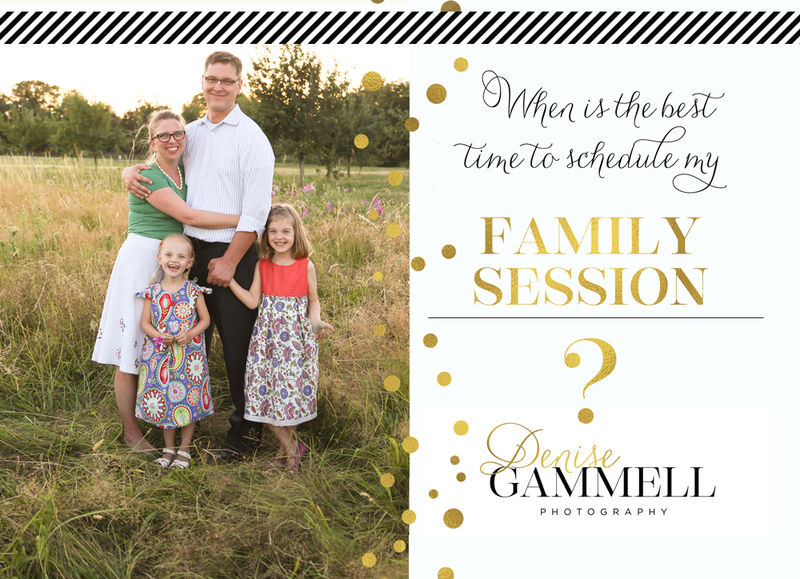 I always get asked the question, what is the very best time for scheduling a family portrait session? First off I will always say schedule an hour before sunset- any time of year. But because we are in Connecticut where the weather and lighting varies drastically, to find the answer to which month is best for you, I have to first ask a few questions. 1. What season is your favorite? 2. What type of seasonal clothing do you picture yourself wearing for a family picture? 3. Is there a season where you are you the most relaxed due to your schedule? 4. Does it matter to you which season would you like shown on your family holiday card? 5. If you were to get a large portrait of your family to hang on your walls, which season and clothing do you think best compliments your home? As you can see, the answer is as personal to you as your family style. August, September and October are very popular months for booking sessions in Connecticut because the lighting has an autumnal glow to it. And of course the leaves are beautiful as a backdrop. Just keep in mind that because fall is such a popular time to book a session, the earlier you contact me to book your session the better! I have clients who book a several months in advance just to get the peek foliage time slot. I have a November 7th cut off date for sessions so that I am able to get all portraits edited, ordered and delivered in time for the holidays. If you have more questions about my family sessions, please see my FAQ's page or contact me today.